In this episode of Nat Chat we have Justin Mares. Justin has had a wild journey through the entrepreneurship and marketing world since his sophomore year of college when he started a company to help incoming students find better roommates. After that shut down, he collaborated with Gabriel Weinberg to write the best-selling book Traction, he ran growth for Exceptional Cloud Services which was acquired by Rackspace, he became a mentor for companies going through 500 startups, and he’s the founder of three businesses right now: Perfect Keto, Fomo, and Kettle and Fire, his main focus and where he spends most of his time. Justin was also my first mentor in the marketing world. He and I ended up chatting while I was a junior in college, I worked for him for a few months, and then we started Programming for Marketers together which was later acquired by General Assembly. Be sure to say hi to Justin after the episode on Twitter @jwmares! 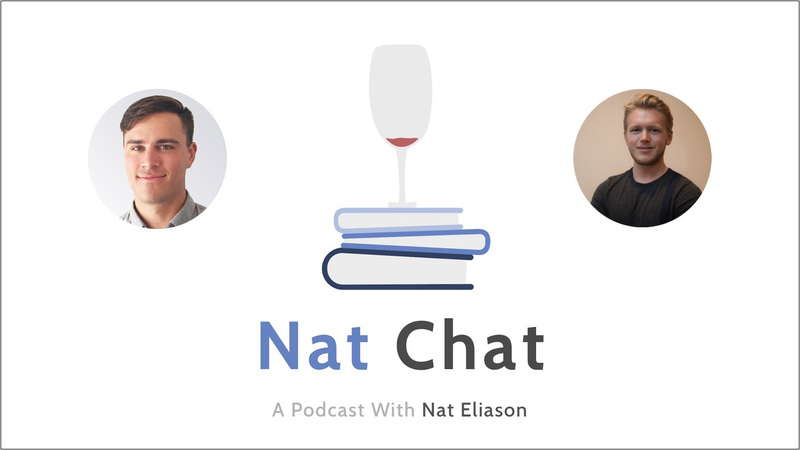 If you want more on testing business ideas, check out my interview with Neil Soni where he talked about testing business ideas while still being employed full time. If you want more on finding great mentors and working with them, be sure to listen to my interview with Charlie Hoehn who’s the expert on the subject. 1:20 – Intro to Justin and his experiences with cryptocurrencies such as Ethereum and bitcoin. 6:37 – Justin speaking about starting his first company, his learning experiences during that time, and his experience working with Exceptional Cloud Services and Cloud Fab. 11:38 – Justin on writing the book Traction with Gabriel Weinberg. 14:22 – Some of the other projects Justin worked on during his time at Rackspace and some valuable lessons he learned. 23:58 – How Justin figured out how to start his bone broth company Kettle and Fire and make bone broth. 25:37 – Justin on buying the company Fomo and him speaking about starting the company Perfect Keto. 28:59 – Justin’s testing procedure for potential companies to start and some lessons he learned from tests that didn’t work. 33:03 – How Justin practiced coming up with new ideas and his philosophy on investing time and quality in companies for exponentially more profit. 35:58 – How Justin manages his time while dealing with all of his companies and some of his current side projects. 40:12 – What Justin’s college experience was like and how he found the motivation to pursue large projects. 46:02 – How Justin found most of his mentors, his experience with networking, and how he chose who to reach out to. 51:22 – Justin’s experience with his parents while pursuing non-traditional jobs. 55:03 – Justin and Nat on video games, the competitive aspect of them, and the potential transfer to real world skills and habits. 58:20 – Justin’s book recommendations to the students at the University of Pennsylvania. 1:01:07 – Some last pieces of advice for recent grads and college students from Justin. 1:02:38 – Wrap up, where to find Justin online, and where you can reach out to him.